Australian researchers have uncovered how the massive DNA molecules that appear in some tumours are formed like Frankenstein’s monster, stitched together from other parts of the genome. This solves a decades-old mystery and explains how these tumours ensure their own survival. The discovery also identified a potential drug target for treating cancers that are well known to harbour these molecules, dubbed ‘neochromosomes’. Neochromosomes are giant, extra chromosomes found in up to three per cent of all cancers, most commonly in liposarcomas (tumours of fat tissue), sarcomas (soft tissue tumours) and some brain and blood cancers. 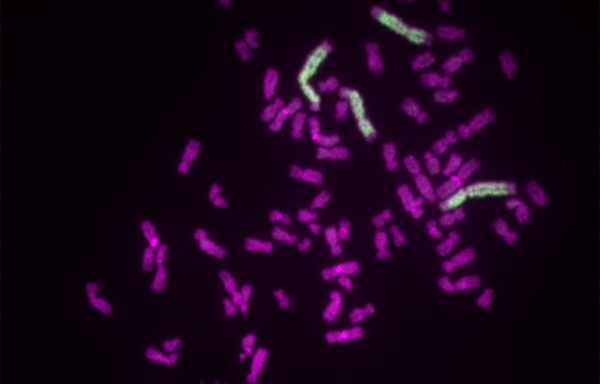 Research published today in the journal Cancer Cell, showed that spontaneous and catastrophic chromosomal ‘explosions’ trigger formation of neochromosomes. The shattered relics reassemble haphazardly, followed by a genetic frenzy of amplification and deletion. Genes known to be important for cancer development are massively amplified, assuring the cancer’s survival. The discovery was a collaborative venture between the Peter MacCallum Cancer Centre, Walter and Eliza Hall Institute of Medical Research and Garvan Institute of Medical Research. Chromosomes are the packages of genetic information found in all cells of the body. Each normal cell has 23 pairs. Neochromosomes were first identified in the 1950s, but their development was a mystery until now. They are large (often many times the size of the largest normal chromosome), and harbour many extra copies of ‘oncogenes’ (altered genes known to drive cancer development). The researchers, led by Professor David Thomas and Associate Professor Tony Papenfuss, mapped the neochromosomes from liposarcomas, using next-generation DNA sequencing. The team then used mathematical modelling to reconstruct the sequence of events that caused the neochromosome to form, deducing that only chromosomal shattering could be to blame. Associate Professor Papenfuss, from the Walter and Eliza Hall Institute and Peter MacCallum Cancer Centre, said the research was like archaeology, sifting through the ruins of a past catastrophic event to understand the present. 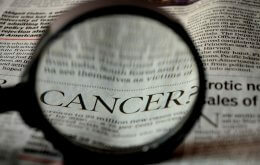 The study also identified a potential therapeutic target to explore for treating liposarcomas, Professor Thomas said. “When the key oncogenes that were massively amplified in the cancer cells were blocked, the cancer cells died,” he said. Animation by Armando Hasudungan Faigl. *Photograph of neochromosomes by Dr Owen Marshall from Melbourne’s Murdoch Children’s Research Institute. Professor David Thomas and Associate Professor Tony Papenfuss led the research team, with Dr Dale Garsed from the Peter MacCallum Cancer Centre, Dr Owen Marshall from the Murdoch Children’s Research Institute and Dr Vincent Corbin from the Walter and Eliza Hall Institute. The research was supported by the National Health and Medical Research Council and Victorian Government.